In times when there is a surplus of food, organisms store supplies for leaner times in the form of love handles. However, in our society the basic supply of food is mostly secure and even in leaner times almost nobody goes hungry. The common consequence of this biological law is persistent excess weight which affects the organisms subjective well-being and can also put stress on joints and the cardiovascular system. There are also more serious reasons as to why you should keep an eye on your weight as your body does not just lose weight voluntarily. The widespread causes of obesity can be quickly identified: the wrong eating habits, a lack of physical movement and a slower metabolism from the age of 25. Before going on a diet, everybody should ask themselves whether they are overweight in the first place. The decisive factor for starting a diet shouldn’t be so that you can have the figure of a supermodel. The body mass index (BMI) gives you a healthy indication of whether you are in shape or not. 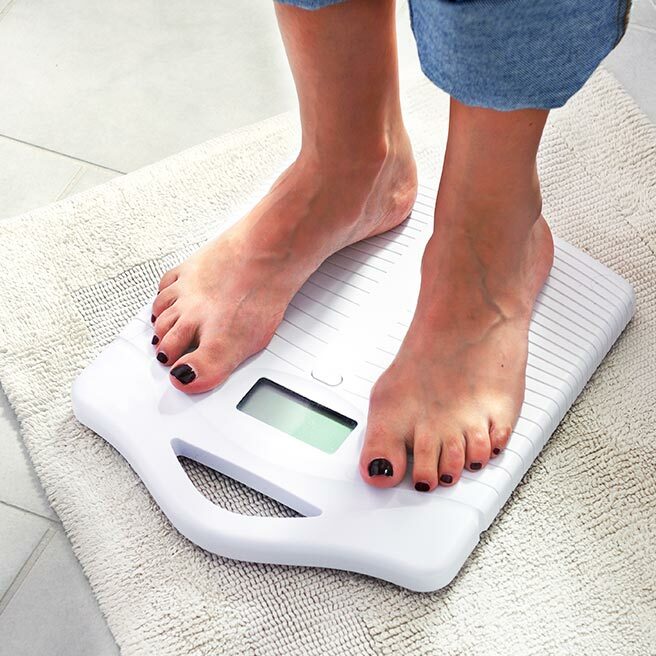 Example: 80 kg divided by (1.70 x 1.70) = BMI of 27.7. Compare your own BMI with the table below. If the results are not so good, then a good diet can help you to lose some weight. “Diet breath” – it can be a nasty surprise! When you achieve your desired weight, you will also gain a healthy self-confidence and a good body feeling. But the topic of “Diet and bad breath” shouldn’t be a taboo, on the way to reaching your goals. Luckily, nature already has the perfect diet recipe to combat the formation of bad odours: the natural green leaf pigment, chlorophyll. This green elixir of life gives us the air to breathe and can also effectively help to deal with diet breath. People who regularly fast are familiar with the typical fasting or diet breath, which is somewhat reminiscent of nail polish remover. The trigger for this is the partial reduction of body fat caused by a lack of carbohydrates. The body needs at least 50 g of carbohydrates a day to be able to convert fat into glucose. If not, the body forms ketones which are exhaled in the form of strong-smelling acetone. This odour-related consequence is particularly evident with low carbohydrate diets. The odour-neutralising effects of chlorophyll work from the inside out. The active ingredient made from natural chlorophyll can inhibit the activity of certain proteolytic enzymes and prevent the development of bad breath and body odour from the inside out. For this reason, Chlorophyll Dragees can also help to combat bad breath caused by dieting. So that you can always smell good on the path to achieving your weight-loss goal. Stozzon Chlorophyll Dragees are very safe and only available in pharmacies.